The Chiang Mai Provincial Public Health Office hosted an event to launch health tourism and develop tourism programs related to health and local wisdom in the province on May 25, 2016. 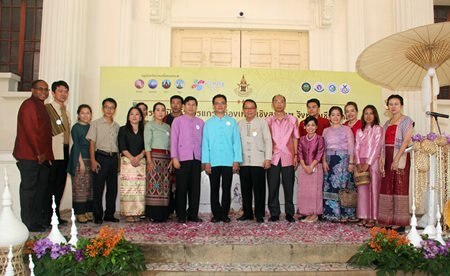 The launch was held at the Local Lanna Museum on May 25 and presided over by Dr. Waranyu Chamnongprasartporn, Deputy Chief of the Chiang Mai Provincial Public Health Office. The event was attended by the head of the Health Division, Polkaew Watcharachaisurapol who said that the Health Office had been assigned to launch the Lanna Wellness, towards an aging society with a budget supplied by the Upper North 1 Health Office. The Office is working to promote and develop knowledge on local wisdom on health and Thai ways of life, healthy and local foods, healthy exercise and develop networks and linkage with other businesses. The Wat Chan Community is developing programs on local cultures, herbs in communities, local handicrafts, and shows of Pakayor Karen villagers. The San Kamphaeng Hot Spring aims to promote health by using mineral waters from nature, and Lanna Thai massage for health services. The health activities for Chiang Mai tourism were held from May 25-27, 2016. Tour companies, representatives from both public and private sectors and mass media attended the three day activities to promote health activities for tourism. 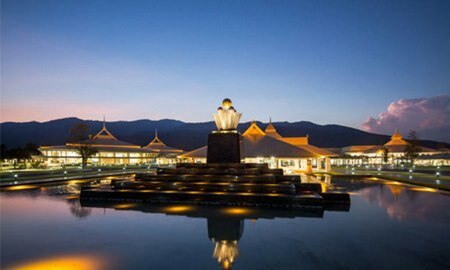 The Chiang Mai International Exhibition and Convention Centre (CMECC) will be the official venue for the Thailand Travel Mart Plus Amazing Gateway to the Greater Mekong Subregion (TTM+ 2016). Dr. Surin Pitsuwan, the former ASEAN Secretary General, will deliver the keynote address at the Thailand Travel Mart Plus Amazing Gateway to the Greater Mekong Subregion (TTM+ 2016) on 8 June, 2016, at the Chiang Mai International Exhibition and Convention Centre (CMECC). The speech, to be delivered at the Buyers-Sellers Forum, will be on the topic of “ASEAN Brand…Stronger Together”. Dr Surin, 66, was the 12th Secretary General of the Association of Southeast Asian Nations between 1 January, 2008, – 31 December, 2012. A graduate of Thammasat and Harvard Universities, he was also a former Minister of Foreign Affairs of Thailand between 14 November, 1997 – 14 February, 2001. Now in its 15th consecutive year, the TTM+ will be held between 8-10 June, 2016, in Chiang Mai, the first time outside Bangkok. The theme of TTM’s this year, “Smile with Us”, reflects friendship, enjoyment, happiness and hospitality. It is in line with the new logo of “Amazing Thailand”, which represents the most well-known characteristic of Thainess – The Smile. Dr. Surin’s speech at the Buyer-Seller Forum will be followed by a second session that will focus on the topic of “OTA: An Inconvenient Truth” with presentations by Mr. Daryl Lee, Regional Vice President Sales and Marketing Asia Pacific, Middle East and Africa, and Mr. Graham Wilson, Asia Pacific Vice President Sales and Marketing, Accor Group. The session will be moderated by Mr. Joseph Wang, Chief Commercial Officer, Travel Daily. TTM+ has reported the attendance of 345 sellers from Thailand and the GMS countries, and 290 buyers from 51 countries, as well as 150 media representatives. These numbers are expected to increase further after the last minute registrations, which typically occur often on the opening day of the show itself. China has the largest contingent of buyers (43) followed by United Kingdom (27), the Australia (22), Italy (15), India (14), and South Africa (12). A group of smaller but higher quality buyers have also been invited from emerging markets; such as, Lithuania, Moldova and Ukraine. Meanwhile, the sellers comprise hotels and resorts (265), tour operators and travel agents (24), entertainment (8), transportation (3), NTOs (4), Greater Mekong Subregion (14) and other travel services (27). This year, for the first time, a Joint Press Conference will be organised on 9 June, 2016, under the theme concept of “CLMVT Link: Prosper Together”. It is intended to highlight the travel and tourism connectivity between Thailand and Cambodia, Lao PDR., Myanmar and Vietnam. The official programme will begin on June 8, 2016, with a welcome reception in the evening at CMECC under the theme of “Thai Lanna” (a unique historic culture of Northern Thailand). The Thai classical music and cultural show will be accompanied by performances from Cambodia and Myanmar. On 9 June, 2016, a “Lanna Night” reception will be hosted by The Group of Strategy Management (Upper North 1 Provincial Cluster). The trade show will be held on 9-10 June at the CMECC. To give buyers and sellers exposure to the emerging range of quality products and services in Northern Thailand, a specialist selection of 8 complimentary pre-tours have been organised on 7 June, 2016, to highlight the best of “Thai Lanna” as well as tours around the region. The major sponsors of the TTM+ 2016 are Thai Airways International, Bangkok Airways, Pelican Hotel Solutions, King Power International and the Thailand Convention and Exhibition Bureau. In January-March 2016, Thailand’s visitor arrivals surged to a record 9.04 million, up by 15.45% over the same period of 2015, according to figures published by the Ministry of Tourism and Sports. China continues to grow as the top source of visitor arrivals with 2.63 million arrivals, up by 31.18% over the same period in 2015. Bangkok Airways is starting a codesharing agreement with Austrian Airlines, bringing their code share partners to twenty-one. Bangkok Airways (PG) recently announced a new codeshare agreement with Austrian Airlines, Austria’s flag carrier (OS), increasing its code share partners to 21. 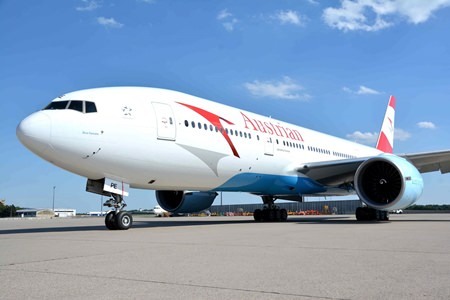 The new partnership will seamlessly enable passengers of Austrian Airlines to connect with world-class tourist destinations in Thailand and Cambodia. As a result, new destinations in Thailand and Cambodia can be directly booked via Austrian Airlines, and reached from Vienna via flights to Bangkok: In addition to the well-known vacation destinations of Phuket, Krabi and Ko Samui in the south of Thailand, passengers can fly to Chiang Rai and Chiang Mai in the north of Thailand and Trat located on the Gulf of Thailand. In Cambodia, the codeshare agreement with Bangkok Airways includes the destinations of Phnom Penh and Siem Reap. Austrian Airlines offers daily nonstop flight service to Bangkok. “Moreover, Austrian Airlines customers traveling on Bangkok Airways will enjoy the boutique airline’s unparalleled services lounge access and in-flight meal. “ Mr. Puttipong added.